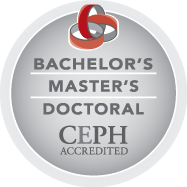 The College of Public Health and Health Professions offers several scholarships to eligible students. Who can apply for college scholarships? All applicants must be in good academic standing in their current program of study. Applicants must have a FAFSA on file. Please note that students applying for college scholarships will be considered for ALL available scholarships, including available funding not listed here. 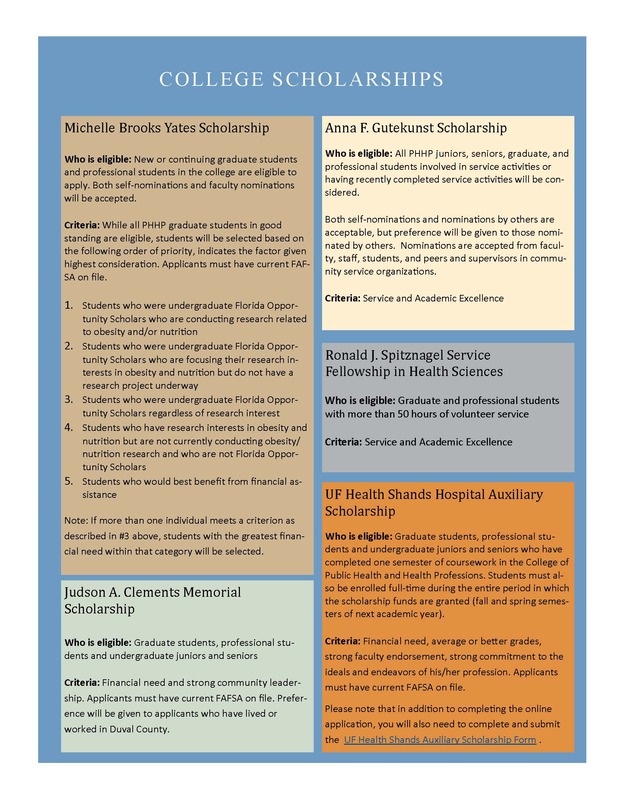 Students interested in applying for the UFHealth Shands Auxiliary Scholarship must do so separately. Juniors, Seniors, Graduate students and Professionals: Kateria Wynn, PHHP Financial Aid Coordinator, at (352) 273-6115. Freshman and Sophomores: UF Financial Aid Office located in Criser Hall at (352) 392-1275. Applications close March 29, 2019 at 11:59PM. College scholarships are awarded during the Spring semester. The UF Health Shands Auxiliary Scholarship is disbursed as one lump sum payment in August. Questions regarding College scholarships? Contact Dr. Michael Moorhouse at mmoorhou@phhp.ufl.edu or Candice Vogtle at cvogtle@phhp.ufl.edu or 352-273-6377. Information on external awards and other helpful links for obtaining information about possible external aid may be found here. ..